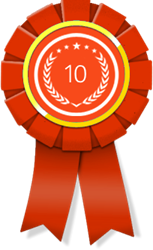 10 Best SEO has named three February winners in the category of Best SEO Agency in Philadelphia, with Webpage FX, Get Phound and Dirkum Interactive capturing the honors. The marketing awards website has a team of experts who make their determination after carefully considering the quality of work performed by the respective agencies. 10 Best SEO is proud to unveil the Philadelphia, Penn.-based winners of its Best SEO Agency award for February 2016. The top three winners for February are WebpageFX, Get Phound and Dinkum Interactive. This new monthly award is given to SEO agencies that have demonstrated a full commitment to quality customer care, superior SEO work and innovative online marketing tactics. 10 Best SEO has a team of experts that reviews the quality of work performed by SEO agencies around the nation and gives out awards to those who have shown that they perform excellent quality work on a consistent basis. As a leading Philly SEO agency, WebpageFX is a company that is proud of their solid reputation in the online marketing industry. They have been around for more than 17 years and have helped their clients generate over $200 million in revenue. Innovation, results and integrity are what all of their clients receive when they hire WebpageFX to perform SEO work. The company has also garnered various other awards, such as recognition for being one of the best employers in the area. In addition, their management team has been commended for their superior leadership skills. Get Phound is a top SEO agency that understands that the key to success for any business is to build a prominent presence in online search results. Their team of search engine professionals have put together custom strategies that help their clients achieve top positions not only on Google, but on other search engines such as Bing and Yahoo. Their SEO strategies revolve around fully optimizing every client's online presence so they achieve long-term results. Like the other outstanding SEO agencies on 10 Best SEO’s list, Dinkum has years of experience in the field of search engine optimization. The team at Dinkum Interactive has built a unique base of knowledge that allows them to find solutions that will work for every client, no matter how competitive their industry is or their current SEO standing. Every business that uses Dinkum Interactive for their SEO will get a custom SEO roadmap developed just for them and will be put on the path to success from the very first day. In addition to SEO, they also offer a wide range of other online marketing services such as managed hosting, social media marketing, pay-per-click campaign management and a whole lot more.